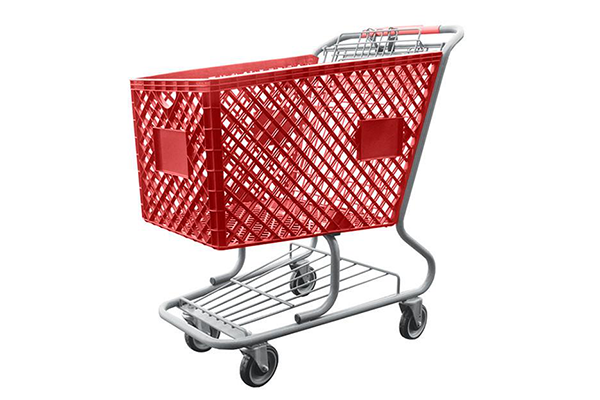 You are here: Home » News » Company News » Why Shopping Carts Are Important? When you step into a retail shop, something that most shoppers look for is the "super shopping cart" to make it easier and more convenient to transport items within the mall. As shoppers walk through each aisle, they keep depositing what they have written down in a list into this "super shopping cart", and also those items that perhaps were not contemplated, for some reason along with those that are really needed. 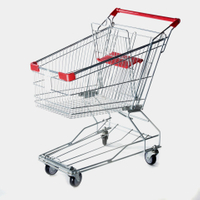 While for the shopper, the shopping cart is merely equipment to aid the transport of items, to the retailers it represents one of the biggest allies and key elements. 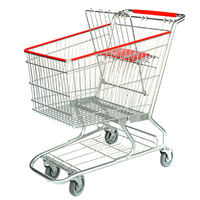 What makes this "super shopping cart" important equipment for retailers? By having larger shopping cartsat the point of sale, the customer, unconsciously, will feel the need to fill those spaces that are still empty inside. So, the shopper will seek to fill each place of the cart with items that surely do not appear on their list, things that probably they don’t even need. These items fall under the famous impulse purchases. According to Whole Foods Market, retailer sales increase by up to 40 percent when the supermarket shopping cart is larger. The placement and use of "minis carts" for children are disguised as a cost-effective entertainment element for the retailer, but not so convenient for shoppers who go with the intention of saving. If there is someone who generates a large number of impulse purchases, it is precisely the children, and if you have an easy-to-use cart for them, the products deposited there will be those that are hardly listed on the budget. So, it will be difficult not to buy what that "mini-cart" bears. If the space in the big basket is not enough, the bottom of the cart also saves a considerable space size to place larger items, particularly those packaged ones. With this space, the shopper can put large products that do not obstruct the top and thus introduce more items, which translates into a greater expense. Many shopping carts often have brand and product advertisements on the front or sides, something that cannot be seen by shoppers who carries the cart, but by the person in front of him or her, who probably carries advertising on their own cart. With this, during movement within the mall, the shopper is exposed to more marketing strategies that aim to influence their purchase decision. As shoppers walk past each other, they are tempted to look and compare what they have in their cart with others. Sometimes, what they see in others’ shopping cart could serve as a reminder for an item they probably think they have forgotten or they simply need. Again, they may be tempted to get more. In the retail industry, nothing is by chance. Each item, price, communication, location, product placement, have a reason to be, as with the "shopping cart". 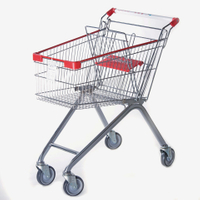 To a retailer, the plastic shopping cart is indispensable equipment to provide good customer experience, while attracting more sales and making more profit.